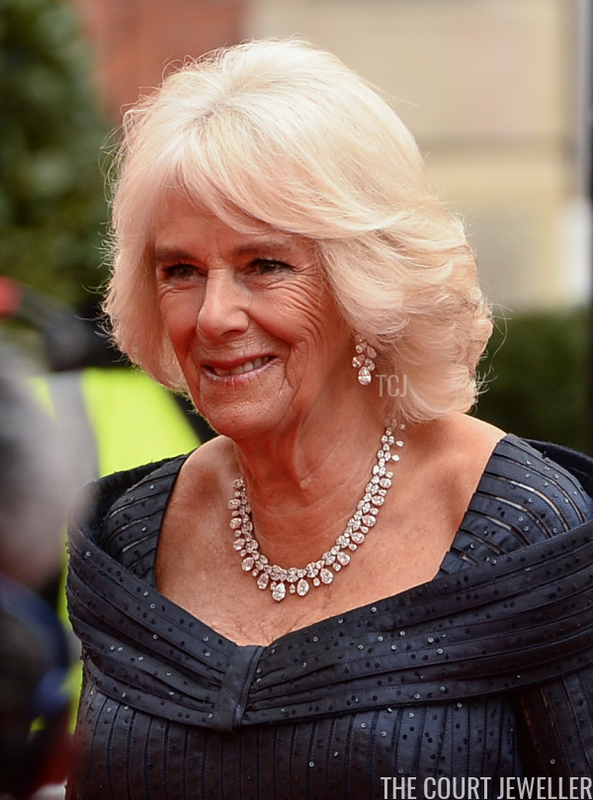 The Duchess of Cornwall stepped out in London on Sunday evening in the best way possible -- dripping in diamonds. 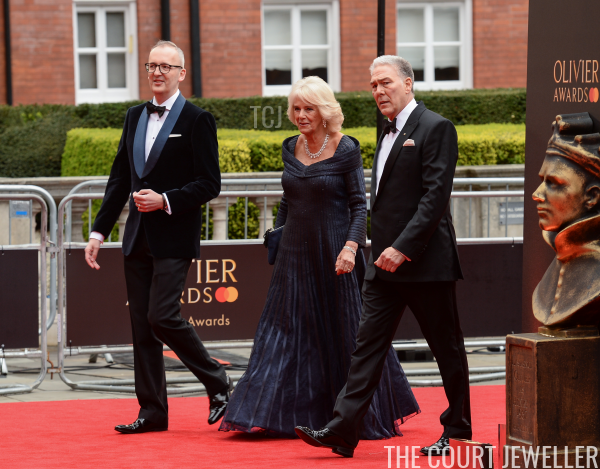 Camilla headed to the Royal Albert Hall on Sunday evening to attend the Olivier Awards, which recognize the best of the best in the world of professional theater. (Or, as they're in the UK, "theatre.") She presented a special award to choreographer and director Sir Matthew Bourne during the ceremony. 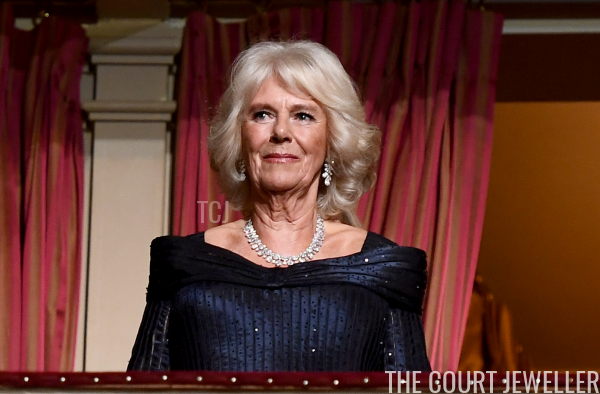 With her navy blue gown, Camilla wore her demi-parure of jewels set with incredible pear-shaped diamonds. The suite consists of a necklace and a pair of earrings. 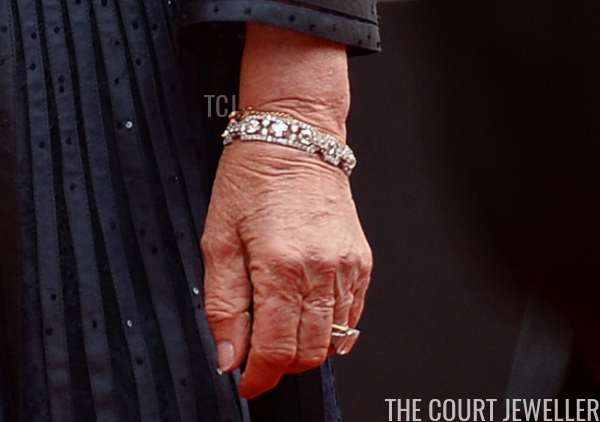 She also wore a diamond bracelet on her left wrist, sparkling alongside of her diamond engagement ring, which is an heirloom from the Queen Mother's collection. 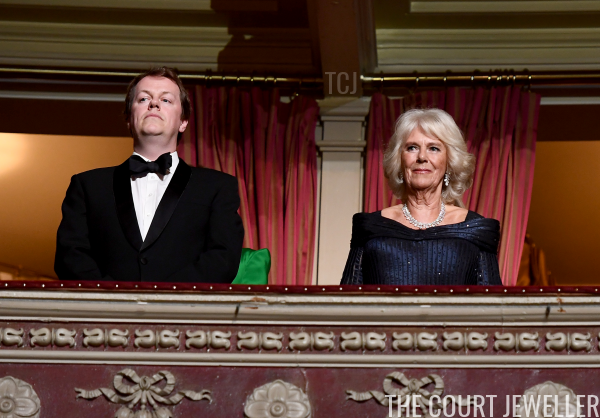 Camilla's dress also sparkled a bit on its own, courtesy of tiny scattered sequins. The Prince of Wales didn't attend the awards ceremony with his Duchess, but she was accompanied by another very important man in her life: her son, Tom Parker Bowles.